“Madame was the greatest star of them all.” While this line from 1950’s Sunset Boulevard is a reference to the character of Norma Desmond, it certainly also applies to the actress playing Norma Desmond: Gloria Swanson. Gloria wasn’t the first movie star to become an international celebrity, but she was unquestionably one of the biggest stars of the silent film era. Between Sunset Boulevard and her career working in silent films, she is forever tied to the public’s image of silent film stars. Out of all the box office hits she made during her career, none of them reflects how big of a star she was at the height of her fame like 1925’s Madame Sans-Gêne. By 1925, Gloria had reached a tipping point in her career. Her work in Cecil B. DeMille costume dramas had made her a megastar years earlier, but as her costumes got more elaborate and her hairstyles got more complicated, she eventually got tired of her clothes horse image and decided to move on from DeMille to focus more on more character-driven projects. Breaking a successful formula is always a gamble, but it paid off for her in spades and movies like Zaza and Manhandled made her an even bigger star. But the weight of being such a big star was starting to become too much. While she was working on 1924’s Her Love Story, she was also busy plotting her next career move. Her first choice was to star in Paramount’s adaptation of Peter Pan and was livid that it hadn’t already been offered to her. She was on the verge of heading to London so she could personally speak to J.M. Barrie and make her case for playing Peter Pan when she heard about a play by the name of Madame Sans-Gêne, which a friend thought she might be interested in getting the film rights to. Madame Sans-Gêne was first described to Gloria as being about, “A washerwoman who is elevated to nobility by Napoleon.” Hardly an exciting summary, but it really is the most succinct way to put it. Gloria wasn’t impressed, but she trusted her friend’s judgement and asked him to read the play aloud to her. Despite the underwhelming summary, she loved the play and thought it was well-written and funny. As she and her friend discussed the project further, they agreed that such a beloved French story needed a French director and to be filmed on location in the same places Napoleon had actually lived. With Peter Pan and Madame Sans-Gêne in mind, Gloria made arrangements to visit London and Paris so she could put her ideas into motion. Shortly after arriving in London, Gloria’s pursuit of Peter Pan came to an end when J.M. Barrie announced Betty Bronson was to play Peter Pan. Disappointed but not deterred, Gloria simply put all of her focus on Madame Sans-Gêne and headed on to Paris, where she was set to meet with film critic Andre Davin and Adolphe Osso, head of the European division of Paramount. Davin was very enthusiastic and supportive of her ideas for Madame Sans-Gêne, being particularly optimistic about her chances of being able to film on location. Osso, on the other hand, was considerably less confident. He thought an American would never be able to get the rights to such a distinctly French story and even if she did get that far, she would never be able to film on location, noting that Germany’s UFA studio had tried to get permission to film on those very same historic locations several times before without success. Once Davin wrote a glowing article about Gloria’s plans for Madame Sans-Gêne, Osso was proven wrong — quite overwhelmingly — and Paramount quickly agreed to let Gloria have anything she wanted to make this movie happen. She got the French director she wanted, Leonce Perret, and permission to film on the locations she had her heart set on, including Fontainebleu and La Malmaison. To add some icing to the cake, she hired Henri de la Falaise, Marquis de la Coudraye to act as something of a chauffeur/translator/personal assistant. Although he had a title, Henri did not have much money but he had enough influence and connections to help the production continue running smoothly. Before long, he would also become Gloria’s third husband. 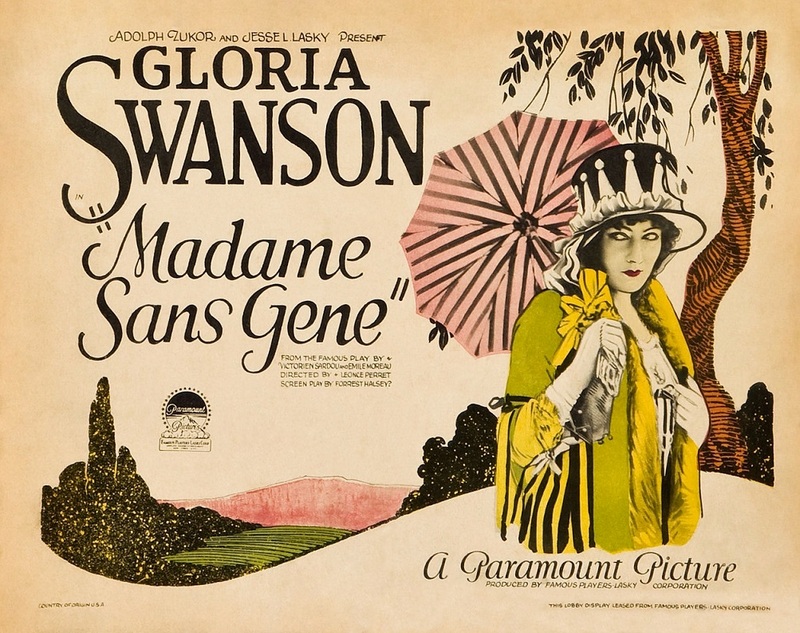 By the time Madame Sans-Gêne was set to premiere in the United States, there was enough drama surrounding it to merit its own movie. Shortly before she arrived in the States, she started suffering complications from an abortion she didn’t want to have and only did so because of the morality clause in her contract with Paramount. As she lay gravely ill in a Paris hospital, the media was hard at work keeping fans up to date about her condition. On top of it all, Paramount executives were putting pressure on her to recover quickly so she could travel to the United States and promote the movie. Even once she arrived in the States, she was still completely exhausted and just wanted to rest, but she carried on. Adding to the drama was the fact that she was no longer just Hollywood royalty, she had a real title. Her recent marriage had officially made her the Marquise de la Falaise de la Coudraye and her fans couldn’t wait to see her and her new husband. Madame Sans-Gêne had its first gala premiere at the Trivoli Theater in New York City on April 17, 1925. Thousands of fans lined the streets, causing traffic problems. Those who spent $5 ($73.30 adjusted for inflation) for tickets to the big event had to be escorted into the theater by the police because of the huge crowds. Gloria and Henri invited the Grand Duke and Duchess of Russia to attend as their guests, but the police were so focused on protecting Gloria and Henri that the Grand Duke and Duchess were effectively left to fend for themselves and ended up entering the theater with torn and mussed clothing. The theater itself was decked out in French and American flags. The New York Times described the movie as being a secondary affair, as about half the theater was more interested in seeing Gloria in person. However, the New York premiere was a mere warm-up for the one that would come in Hollywood. 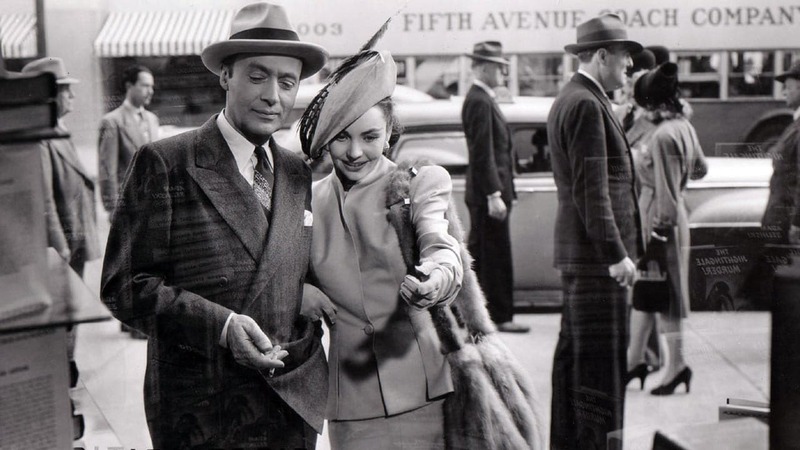 From New York, Gloria and her husband boarded a train for Chicago before heading on to Los Angeles, making stops along the way to greet adoring fans. Once she finally made her way to Los Angeles, the city pretty much shut down for her. Hollywood has certainly seen its share of major film-related events over the years, but the premiere of Madame Sans-Gêne and Gloria’s arrival for it makes the Oscars seem like a quiet, understated affair. Two years had passed since Gloria was last in the state of California and a veritable who’s who of the film industry was waiting to greet her at the train station. Naturally, lots of big names from her home studio of Paramount were there to welcome her back, including Cecil B. DeMille and Rudolph Valentino. Since United Artists had been trying to convince her to join them, Charlie Chaplin, Mary Pickford, Douglas Fairbanks, and D.W. Griffith were all there. Bebe Daniels, Mack Sennett, Charley Chase, and Frank Borzage were just a few more of the familiar faces in the crowd that day. And, just for good measure, the Mayor of Los Angeles and two brass bands were also there. Hedda Hopper wrote that schools had been closed for the day. Edith Head recalled Paramount Studios being shut down so their employees could be part of it all. And, of course, there were more traffic jams as thousands more fans waited in the streets to see her. Once she made her way to her seat, she was right between Cecil B. DeMille and Mack Sennett. But once the movie began, the night was over for her. To avoid the crowd, she was ushered out the theater’s back exit. As she headed home with her entourage, Gloria was remarkably quiet. When asked what was wrong, she said, “I’m only twenty-six. What’s left? How can I top it?” On top of that, she was dealing with a lot of guilt over the abortion she’d had and was truly feeling like studio heads only saw her as a way to make money for themselves. While the night was certainly unforgettable for Gloria, the movie itself was less noteworthy to critics. Critics generally had good notes about Gloria’s performance and the authentic French locations didn’t go unappreciated, but reviews were pretty mixed. 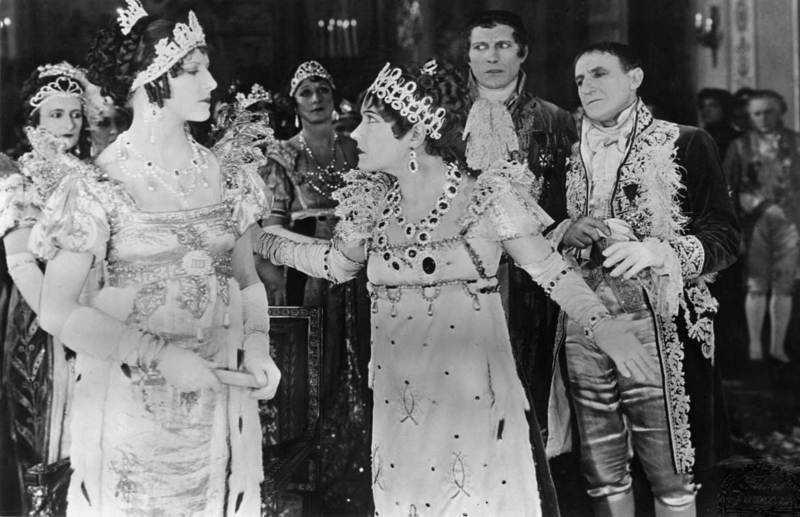 In The New York Times, Mordaunt Hall wrote, “Aside from Miss Swanson’s performance and possibly that of the roles of Napoleon and La Rousette, the characterization that is obtainable on the stage is lacking on the screen. Somehow the players are pleasant but rather flat.” There were also criticisms of the story, which Gloria attributed to cuts Paramount made to the film. She didn’t care for those cuts, either, and an uncut version of the movie was released in France. Despite the mixed reviews, Madame Sans-Gêne was a box office success. At the Trivoli Theater alone, it brought in $41,000 ($601,744.13 adjusted for inflation) in its first week, breaking the previous house record set by Blood and Sand with Rudolph Valentino. It played around the country to great success in a road show format, where attendees received a commemorative program and coin with Gloria’s face on it. After Madame Sans-Gêne, Gloria still had four movies left on her contract at Paramount and it was time for her to seriously start thinking about the future again. United Artists eventually won out in convincing her to leave Paramount behind and become an independent artist for them. Not only did she like the prospect of having full creative control over her projects, she’d had enough of Paramount meddling in her personal life, and she didn’t want to risk becoming replaceable at Paramount. However, being an independent filmmaker proved to be more challenging than Gloria anticipated. The United Artists era of Gloria Swanson’s career yielded some triumphs, but also some considerable setbacks. 1928’s Sadie Thompson and 1929’s The Trespasser were hits at the box office and her performances in both films earned Academy Award nominations. However, The Trespasser would be her last box office success until Sunset Boulevard was released over twenty years later. Her first film for United Artists, 1927’s The Love of Sunya, was a box office disappointment and in between Sadie Thompson and The Trespasser, she made the infamously disastrous Queen Kelly, which was never finished and went unseen for decades. As the 1930s progressed, her film appearances became less frequent. By the decade’s end, she had moved away from Hollywood and was focusing her attention on a company she’d created for the purpose of helping scientists and inventors escape from Nazi-occupied Europe. “…Many of my early pictures have been shown at film festivals around the world. Each time this happens, the same sad questions are always asked: Does anyone know of a print anywhere of Beyond the Rocks, the film Rudy Valentino made with me in 1921? Can anyone locate a print of Madame Sans-Gêne? Does anyone have a complete copy, including the last reel, of Sadie Thompson? Swanson on Swanson was published in 1980 and, sadly, many of these same questions can still be asked today. A print of Beyond the Rocks was found in 2003, but the final reel of Sadie Thompson is still lost and the only glimpse we have of Madame Sans-Gêne is its trailer. Perhaps someday, Gloria will be proven right and the world will be able to see Madame Sans-Gêne once again. While many of her films still exist, the loss of Madame Sans-Gêne leaves a large hole in the filmography of one of the silent era’s greatest stars. Posted in Uncategorized on October 28, 2018 by Angela. 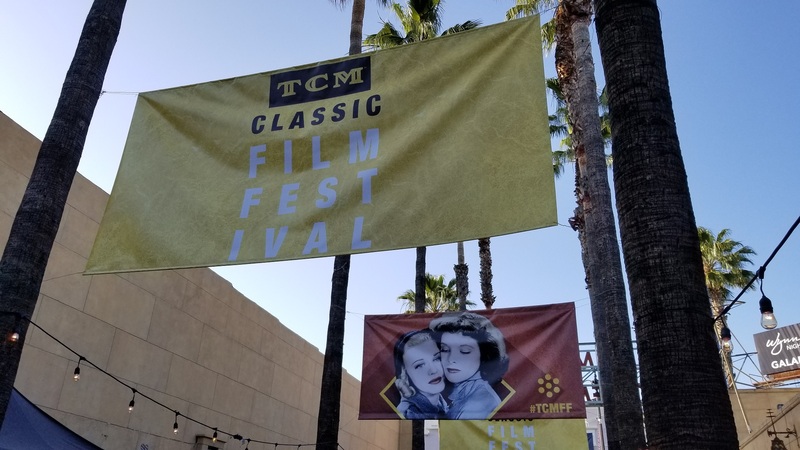 2018 marked my fifth year attending the TCM Classic Film Festival and over the years, I’ve sort of fallen into a routine. I fly into town on Wednesday morning, a day before the official festival activities really get started, and use that extra time to get settled, catch up with my friends, and try to adjust to the time zone difference. Aside from the travel aspect of it, it’s typically a pretty quiet day for me. This year, I feel like I got into town and got into full festival mode right off the bat. Once I got into Hollywood, I dropped my things off at the hotel and headed over to the Roosevelt to pick up my media credentials and get a badly needed lunch at 25 Degrees. Before I knew it, I’d made four new friends at lunch (shout out to the first-timers from DC! ), said hi to Ben Mankiewicz, and saw Eddie Muller as I was getting ready to leave 25 Degrees. If you’ve never been to the festival, I feel like this really sums up the general atmosphere of being there. When you’re at an event like this, you have something in common with everyone so it’s really easy to get into conversations with people you’ve never met before. And randomly running into TCM’s on-air hosts in places like Starbucks and other restaurants in the area is absolutely something that happens. Later in the day, I stopped by an event by the Hollywood Roosevelt’s pool hosted by the Going to the TCM Classic Film Festival Facebook group. I wasn’t there for the whole event, but what I did catch was absolutely remarkable. When I got there, Barbara Rush and Cora Sue Collins were telling stories about their careers and boy, did they ever have stories to tell. Between the two of them, I got to listen to them talk about people like Greta Garbo, Joan Crawford, Judy Garland, Marilyn Monroe, Lucille Ball, William Powell, Hedda Hopper, and Loretta Young. For example, Rush talked about how Crawford gave her advice on dealing with her publicity photos while Crawford was a good friend of Collins’s mother. 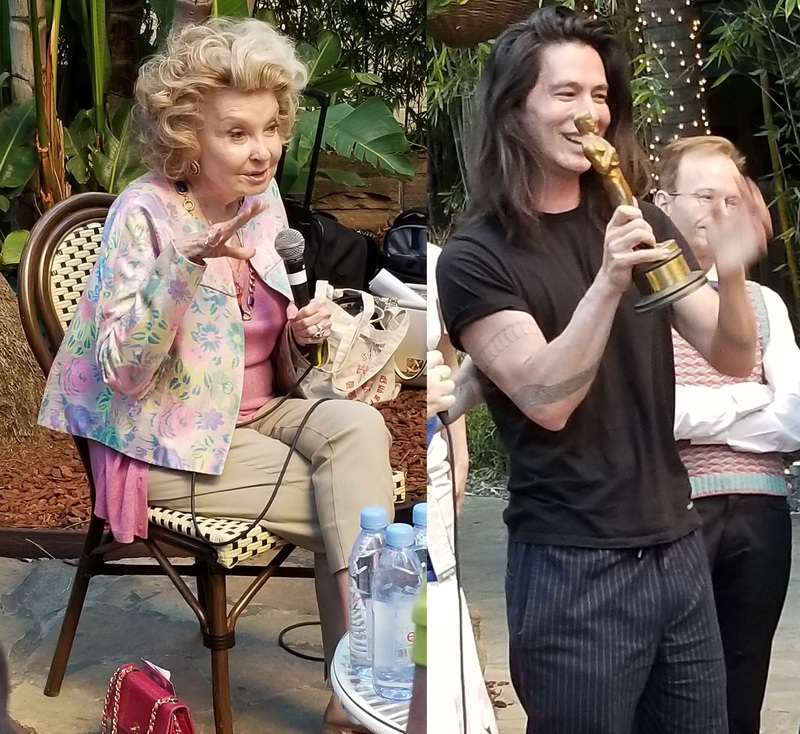 After the discussion with Cora Sue and Barbara, there was an appearance by Andrew Yang, the great-grandson of Mary Astor, who had brought Mary’s Oscar with him. The festival got into full swing the following day and I started things off by watching the red carpet arrivals for the 50th anniversary screening of The Producers. I’m a big fan of doing this because it gives me a chance to see a lot of the guests I don’t get to see otherwise during the festival, plus a few others who are just there for the big opening night screening. This year had a really fun group of special guests. Of course, Mel Brooks was there and it’s always a treat to see him in person. Since Martin Scorsese was being awarded the first Robert Osborne Award, he was also there — very briefly, but as a big Scorsese fan, still enough to be very exciting for me. Eva Marie Saint, Cicely Tyson, Mario and Melvin van Peebles, Norman Lloyd, Ruta Lee, Diane Baker, Rosanna Arquette, and Paul Sorvino all also made appearances. Paul Sorvino even gave us an impromptu opera performance! Since Dennis Miller was introducing a couple of movies during the festival, he made an appearance on the red carpet and seemed to be having the time of his life — he even came into the bleacher section and started shaking hands with people. I decided to skip the first block of movies in favor of getting some dinner before checking out Throne of Blood. Even though I love foreign films, I feel like I don’t often get around to seeing them at the festival so I was really happy to be able to make my first movie this year a foreign one. It wasn’t my first time seeing the movie, but getting to see it on the big screen was a real pleasure. There was a lot in the sound that I hadn’t fully appreciated by watching it at home. And I loved being able to see it with a crowd of people audibly gasping during the legendary arrow scene. All in all, it was an excellent way to start things off. Posted in Uncategorized on May 31, 2018 by Angela. While many people have been quickly abandoning physical media in favor of streaming services such as Netflix and Hulu, classic cinema enthusiasts have largely been left out. With a few exceptions, most mainstream streaming services typically favor more modern movies, meaning fans of classic film have mostly been forced to stick to their DVDs, blu-rays, and even VHS tapes if they want to watch something made prior to the 1970s. 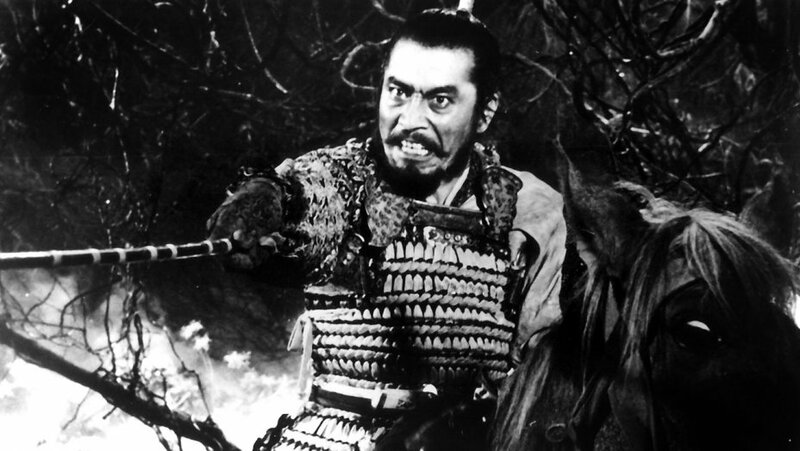 But FilmStruck fills a major gap that had existed in the world of movie streaming services. FilmStruck is a streaming service curated by Turner Classic Movies that launched in November 2016. 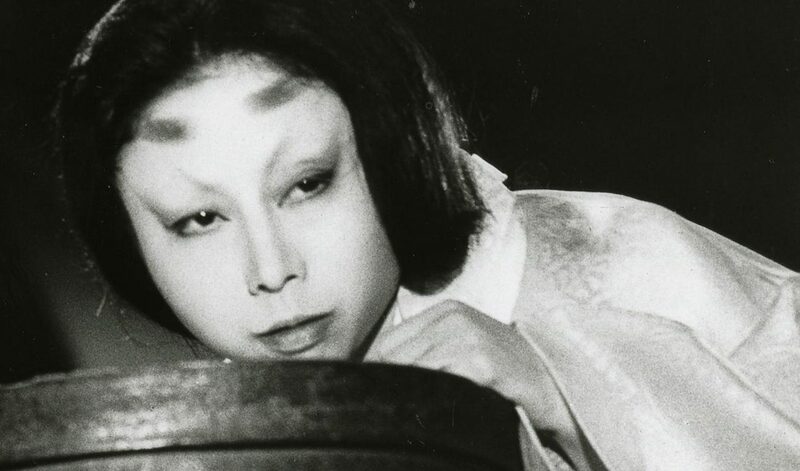 Targeting fans of classic cinema, foreign films, and cult movies, FilmStruck features a wide range of movies from the Criterion Collection, Janus Films, Kino Lorber, Milestone, and more. I signed up for the service the day it became available for Roku players, so by now, I’ve been using it for several months and have had plenty of time to get familiar with all that it has to offer. And I can safely say that it is, by far, my favorite movie streaming service. 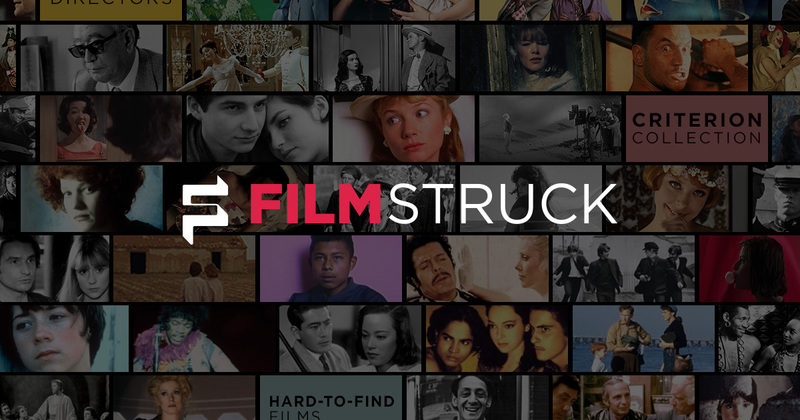 As a FilmStruck subscriber, you have your choice of two subscription tiers: the basic tier which gives you access to the main FilmStruck service and a more expensive one that gives you access to the Criterion Channel in addition to the main FilmStruck section. The whole idea of being able to stream movies from the Criterion Collection was one of the things that interested me most about FilmStruck, so naturally, I went with the option to get the Criterion Channel. Regardless of which subscription service you choose, you’ll have a huge variety of movies and extra features to enjoy. While you can always just search for a specific movie, actor, director, or genre, one of the things I love most about FilmStruck is the fact that movies are also grouped together based on a common theme. This is such a great way to discover new movies. In the time that I’ve been using it, I’ve seen FilmStruck do spotlights with themes like punk films, films by Powell & Pressburger, Howard Hawks screwball comedies, movies made by Vivien Leigh before Gone With the Wind, LGBTQ movies, British noir, and directorial debuts, just to name a few. There’s also a Cinema Passport series which highlights movies made in different countries around the world. It’s worth noting that all the spotlights I just mentioned were/are available on the basic FilmStruck service, so even if you don’t go for the Criterion-level subscription, you’re still getting a lot of amazing programming. In addition to the movies, some titles have extra features such as introductions, scene commentaries, trailers, and featurettes. With the Criterion Channel, you’re able to stream a selection of movies released by the Criterion Collection, complete with all the bonus features included on the DVD/blu-ray release. If you’re a big fan of Criterion Collection discs like I am and often find yourself wishing you could check a disc out before buying it, this lets you have a chance to do just that. The Criterion Channel also features a lot of original content and special features not available on the basic FilmStruck service. My personal favorite is the weekly Friday Double Feature, which suggests a pairing of movies that share a common theme. This is something I never even knew I wanted in a streaming service until FilmStruck came along. But now every Friday when I get home from work, one of the first things I do is check to see what the new double feature is because there’s a very good chance it could be what I’ll end up watching that night. They also do something similar on Tuesdays where they pair a short film and a feature-length movie. Like most other streaming services, movies are only available on FilmStruck for a limited amount of time. 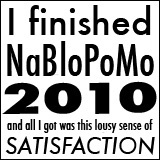 But I’ve consistently been impressed by how frequently new movies are added to the service. I also greatly appreciate the fact that both basic FilmStruck and the Criterion Channel have a list of the movies that will leaving soon. I’m sure many of you have experienced the disappointment of adding a movie or show to your watchlist on other services, only to have it disappear from the service without warning, so this is a big help. There’s also a list of movies that have recently been added, which is great. On the main FilmStruck section, there’s even a list of movies that are recommended for you. On the whole, I really don’t have any complaints about FilmStruck. I’m extremely happy with the variety of movies it offers, I love the original features, and the themed collections are very interesting. Perhaps the only criticism I have of it is that I find it easier to browse its contents by either going to the website or by using the mobile app, but I can also say the same thing about Netflix. All in all, this is the streaming service I’d been waiting for. I’m still a huge fan of physical media, but FilmStruck is an excellent way to discover movies, whether you’re just starting to explore these sorts of movies or you’ve been a fan of these sorts of movies for years. Update: Very shortly after publishing this review, it was announced that FilmStruck was partnering with Warner Brothers and that all content from the Warner Archive Instant streaming platform would be moving over to FilmStruck. They also launched the new TCM Select collection, which features a rotating selection of major golden age classics like Casablanca, Now Voyager, and And American in Paris. Like watching on TCM, movies in this collection feature an introduction from Ben Mankiewicz, as well as other related video clips from the TCM archives. These new features and partnerships have already brought a lot of valuable content to the service. Today, I came home from work to see a great collection of Bette Davis movies had been added, as well as all the Astaire/Rogers movies. These are all available on the main FilmStruck platform, so this is another great example of how much amazing stuff you get access to even with the basic subscription option. It’s estimated that about 90% of all films made prior to 1929 are lost and many of those are very likely gone forever. 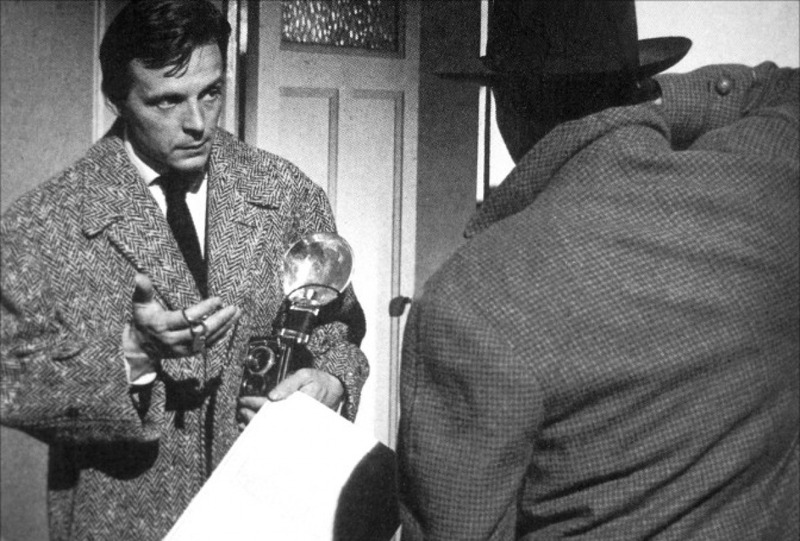 With those kinds of odds, it’s no wonder that classic film fans get so excited over news that a print of a thought-to-be-lost film has been found. But if there’s anything more exciting than finding a print of one lost film, it’s finding a whole stash of them, and that’s exactly what happened in Dawson City in 1978. At its peak during the Klondike Gold Rush in 1898, Dawson City was home to over 30,000 people. One year later, that population had dropped to 8,000 and today, the city’s population is approximately 1,300. But throughout all the ups and downs the city has encountered over the years, one thing has remained consistent: entertainment has remained an important part of the town. Dawson City was hardly the only city to have its own movie theaters, but what makes Dawson City unique is that, because of its location, it was at the end of the distribution line for films and newsreels. Returning films after screening them would have been very expensive for the distributor and, at the time, it wasn’t widely believed that film had any long-term value. So when a movie arrived in Dawson City, it likely stayed there. Since there was nothing else to do with them, the city eventually became overwhelmed by reels of film. Physically storing them all became difficult and every once in a while, people would hold bonfires fueled by excess film and heaps of film would simply be thrown into the Yukon River to be carried away. At one point in 1929, hundreds of film reels were put into a former swimming pool, which was then boarded up to be used as a hockey rink. The film reels that ended up under the hockey rink remained there until 1978 when the lot was being leveled. What ended up being unearthed at that site was a priceless treasure trove of movie reels and newsreels from the early 20th century. It was a find Vanity Fair dubbed “the King Tut’s tomb of silent-era cinema.” Many of the films discovered there were believed to have been lost and included some of the biggest names of the silent era, such as Harold Lloyd, Fatty Arbuckle, and D.W. Griffith. Since the highly-flammable nitrate prints had been stored in permafrost, they weren’t prone to spontaneously catching on fire the way reels stored through more conventional means were. Bill Morrison’s Dawson City: Frozen Time isn’t a documentary solely about the big film discovery; it chronicles the entire history of the town. Morrison primarily uses footage uncovered in Dawson City to tell the story of the city from its earliest days to the height of the Gold Rush to the modern day. Appropriately, most of the documentary is presented similarly to a silent film, without narration and a haunting musical score. If you’re a fan of silent film, being able to see some of this footage is a real treat. Not only is it exciting to see it at all, it’s absolutely fascinating to see the footage used so imaginatively. While the Dawson City discovery included priceless finds involving major Hollywood stars, the newsreels they found there are every bit as important. Some of these newsreels include footage of well-known historical events such as the 1919 World Series, the year of the infamous Black Sox scandal. Speaking as someone who doesn’t follow baseball, or any other sport for that matter, being able to see that footage was pretty amazing. Not only do you have the chance to see some of the players involved in the scandal, it also gives you a chance to see how fans would keep up to date with games in an era before ESPN was a mainstay in bars around the country. Dawson City: Frozen Time had been a movie I really wanted to see at the 2017 TCM Classic Film Festival, but I ended up not being able to make it. Everyone I had talked to who did see it described it as a fever dream, and that’s a pretty accurate way to describe it. It’s haunting, it’s surreal, and it’s absolutely incredible. If you’re like me and love hearing the stories of how lost films are uncovered, Dawson City: Frozen Time is well worth your time. I’m really glad I finally had a chance to see it. After ruining Springfield’s chances of hosting the Olympics, Bart is forced to volunteer at the nursing home where their Grandpa lives as part of a community service project at school. During his time volunteering there, he and Lisa watch Gone With the Wind with the residents. Only this is an “edited for seniors” version of the movie where anything unhappy has been cut out. 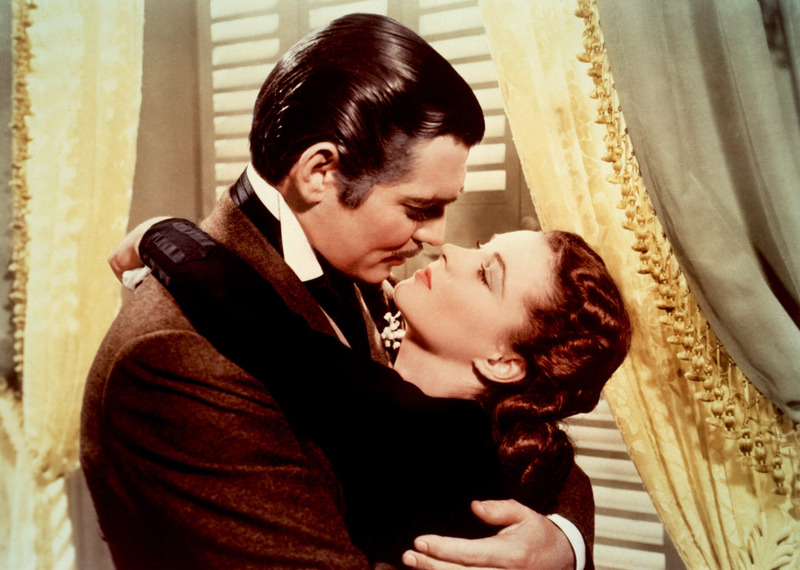 Instead of hearing Clark Gable’s infamous last line, they hear dubbed-in dialogue that alters the ending so that Rhett declares his love for Scarlett and says they should remarry. 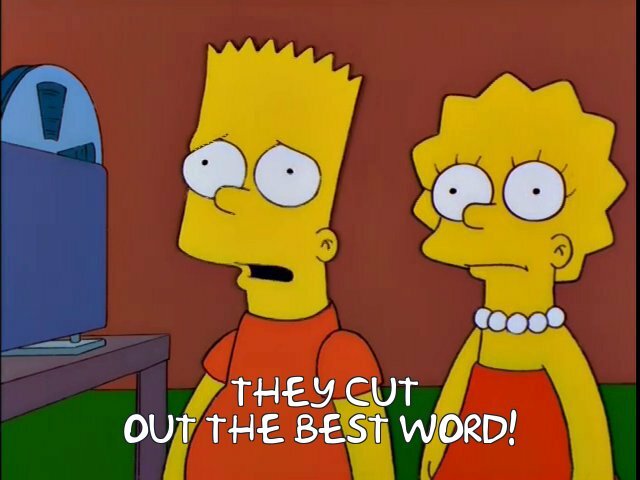 Almost everyone loves the new ending, except for Bart and Hans Moleman who notice some glaring omissions. Posted in Uncategorized on December 18, 2016 by Angela. If you’ve ever wondered what would happen if the members of The Monkees got together with Jack Nicholson and spent the weekend taking drugs and brainstorming ideas for a movie, look no further than the movie Head. 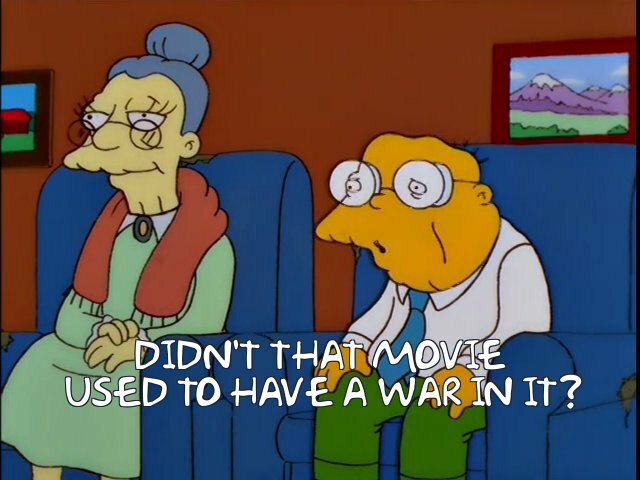 No, really, that actually is how this movie came about. Apparently every crazy idea they came up with made it into this one movie. 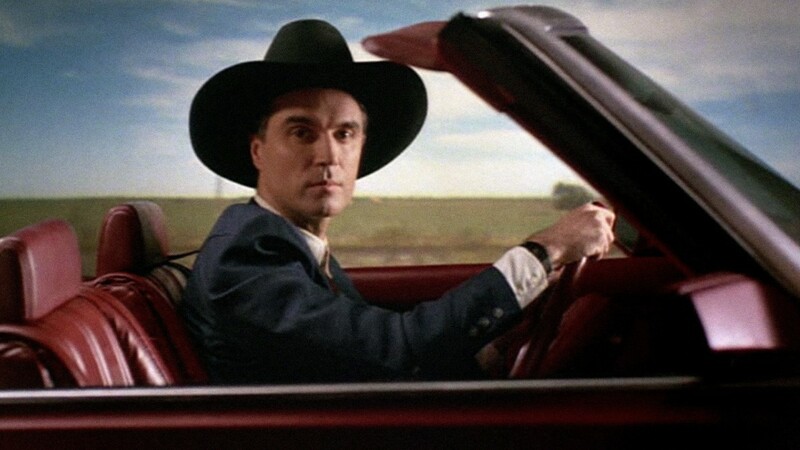 You could say that Head is an abstract satire of TV/music stardom, but there really isn’t one main story; it’s more of a series of vignettes and musical numbers that deal with themes like free will.This is a movie that truly has a little bit of everything: Davy Jones doing a parody of Golden Boy with Annette Funicello, Mickey Dolenz assaulting a Coke machine, a parody of The Perlis of Pauline, a cameo by Frank Zappa, The Monkees being terrorized by a giant Victor Mature, lots of 60s psychedelia, and of course, lots of music. Given the non-linear nature of the film, Head simply isn’t going to be everyone’s cup of tea. But despite that, I’m one of the people who loves this movie. It doesn’t make sense in the way that people traditionally expect movies to, but it has a lot of interesting things going on in it. The soundtrack is absolutely fantastic. In terms of editing and visuals, it’s a really fascinating movie to watch. There’s plenty of comedy in it. All things considered, this movie is endlessly entertaining to me. The fact that it doesn’t have a conventional plot, but still manages to be so entertaining, makes it the kind of movie that’s perfect to watch if I’ve really mentally exhausted myself at work that day. I don’t have to think about it, it makes me laugh, and I love the music in it — after a long day, it’s pretty much everything that I could possibly want. But just because I don’t have to think too hard about it doesn’t mean it’s totally without meaning; I really do like the way it handles the themes of freedom.